GLENDALE, Ariz. – Zach Collins and his roommate Nigel Williams-Goss had a chat before Saturday’s national semifinal against South Carolina. Collins did most of the talking. 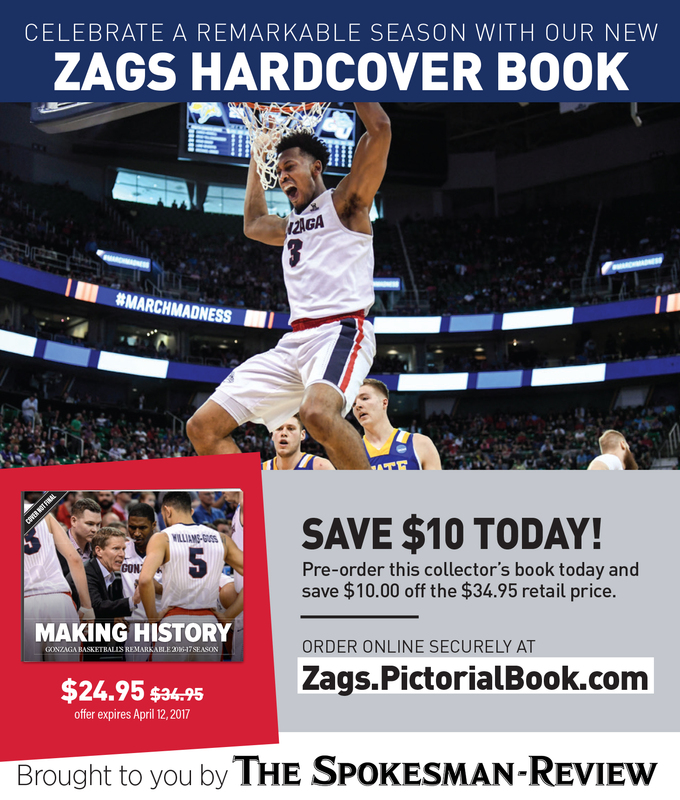 Collins talked, walked, hit a timely 3-pointer, dunked, swatted shots and put up his first collegiate double-double, helping Gonzaga to a 77-73 victory over the Gamecocks at University of Phoenix Stadium. “I really did say that,” Collins said. “I don’t know, I just felt like we did our homework and our scout was really good. We’ve been guarding their plays really well in practice and we were really confident whether they went zone or man. Collins finished with 14 points, 13 boards and six blocks, all seemingly coming in timely fashion. 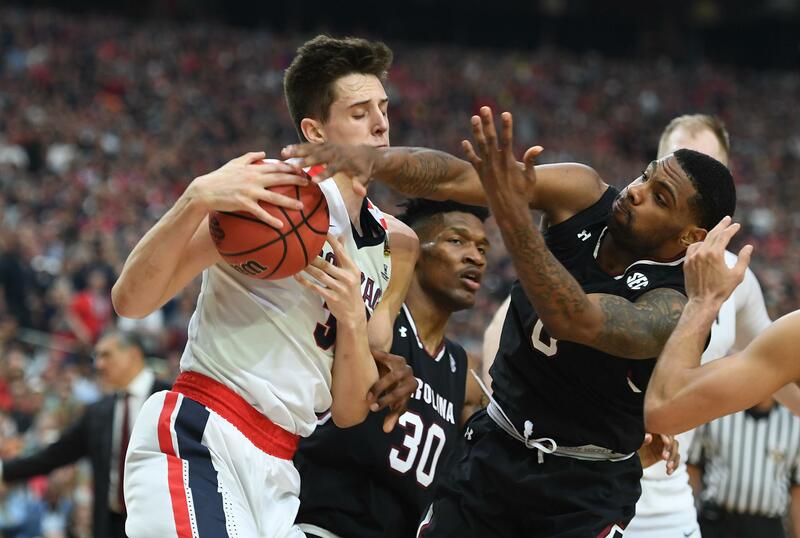 South Carolina had wiped out a 14-point deficit with a 16-0 run when Collins hit a 3-pointer to put Gonzaga back on top to stay. The shot was actually off line, but the ball momentarily jammed between the rim and backboard before dropping through the net. Collins wasn’t finished. His 7-foot frame helped steer guard Rakym Felder’s shot off target. Collins assisted on a Przemek Karnowski basket and he also added a free throw with 1:35 remaining. Karnowski’s comment drew laughter in the press room, even from Collins, who more than backed up his pregame words. Published: April 1, 2017, 10:04 p.m.